A Tokyo burger joint is getting its customers in on the U.S. election action by asking them to choose the better burger from two representing U.S. presidential candidates Donald Trump and Hilary , reports Reuters. In this gastronomic contest being held at J.S. 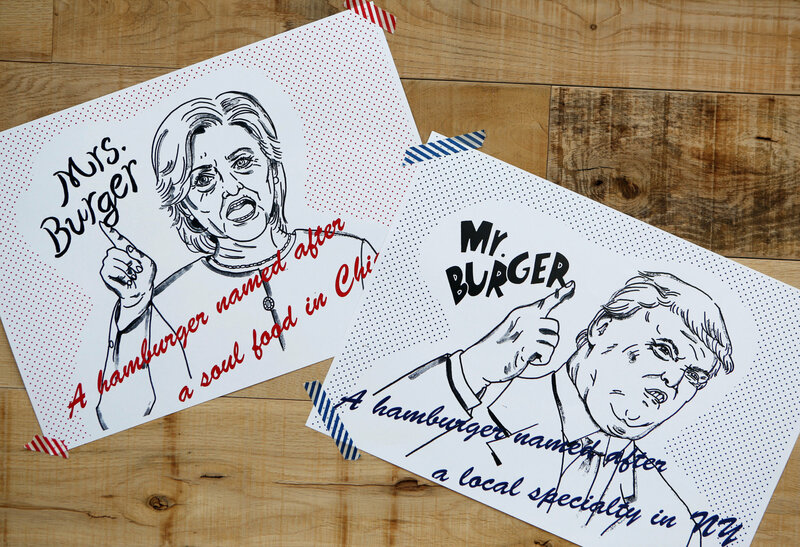 Burger Cafe, which lasts until the election, voters get to pick between a Mr. Burger representing Trump, and a Mrs. Burger representing Clinton.